Vivienne Jurado, shown at right, is starring in the film Dirty Shield (written and directed by Edgar Jimz). The film will next be screened at the 2015 International Filmmaker Festival of World Cinema, taking place in February at Margate, Kent, England, U.K. For more information, click here. The Hardest Love, the award-winning feature film written and directed by Henry B. Roa, has been hitting the film festival circuit. Its next stop is the Viva! Latino Film Festival NYC International, scheduled to take place in February 2015 in New York City. The film boasts the talents of three HOLA members– Francisco Ramos, Paola Tonini and Jason Torres. For more information, click here. 2014 HOLA Awards recipient Pablo Andrade, shown at left, was profiled in The Platform Magazine (Inspiring Men's Issue - Special Edition), where his work on the plays Noche tan linda (written by 2014 HOLA Awards recipient Pablo García Gámez and directed by Jorge B. Merced and 2014 HOLA Awards recipient Leyma López; fellow co-star Idalmis García can be seen in a photo in the article as well), El loco por fuerza (written by Félix Lope de Vega and directed by 2014 HOLA Awards recipient Leyma López), Agravios de fortuna (adapted from William Shakespeare's Sonnets and directed by A.B. Lugo), and Aire frío (written by Virgilio Piñera and directed by 2014 HOLA Awards recipient Leyma López) was highlighted. In addition, his work on the film Bad vs. Worse (written and directed by Gus Trapani) was profiled. For more information, click here. For more information on Andrade, click here. 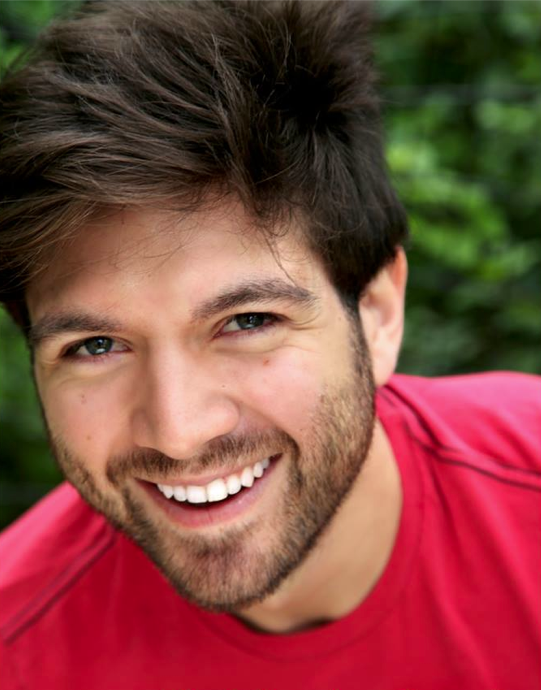 Stewie Vill is among the standup comedians performing at the C U Next Tuesday comedy showcase, scheduled to take place on Tuesday, December 2, 2014 at Brother Jimmy's Union Square in the Union Square area of Manhattan.